As more people and goods move around the planet, our cars, planes, trains, and ships are having a growing impact on the climate. Transportation now generates almost a quarter of the world's greenhouse gas emissions, and in 2016, transportation (including ships, aircraft and railroads) in the U.S. produced more carbon dioxide emissions than any other sector. Shifting from vehicles that burn fossil fuels to those that run on electricity will play a key role in curtailing climate change—in order for countries to meet the carbon-cutting targets they set for the Paris Climate Agreement, 100 million electric vehicles (EVs) must be on the road by 2030. However, in 2015, there were only 1.26 million. Electric vehicles run on battery power, charged by electricity at home or at a charging station. While they're in motion, EVs are clean—they emit no carbon dioxide or any other pollutant. The electricity to power them does produce global warming emissions, however, so how clean they are ultimately depends on how the electricity powering them is generated. According to a report by the Union of Concerned Scientists, EVs running on electricity from renewable power like wind and solar produce virtually no global warming emissions. But even EVs powered by electricity generated mainly from coal produce fewer global warming emissions than a fossil fuel-powered car averaging 27 miles per gallon (mpg). A gasoline-powered car would need to get 54 mpg to have as few global warming emissions as an EV powered by electricity from natural gas; 500 mpg to match a solar-powered EV; 3,900 mpg for a wind-powered EV; or 7,600 mpg to have as little as an EV powered by geothermally generated electricity. Currently, the majority of U.S. EV sales are in California, which produces most of its electricity from natural gas, plus 25 percent from renewables and almost none from coal. So most EVs in the U.S. today run on natural gas or renewable energy. Moreover, 28 to 42 percent of EV drivers in the U.S. and Europe have solar power in their homes. Although upfront costs for EVs are higher than for comparable fossil fuel cars, a 2017 Union of Concerned Scientists report determined that EVs can be cheaper to maintain because they do not require oil changes or regular maintenance. In addition, EVs can save $750 to $1,200 a year on fueling compared to a fossil fuel vehicle averaging 27 miles per gallon with gas costing $3.50 per gallon. While driving electric is cheaper than driving with gas, the actual amount of savings depends on local utility rates and rate plans, such as those that offer cheaper rates at night. Plug-in electric vehicle sales are increasing in the U.S., reaching almost 200,000 in 2017—a 25 percent increase over 2016. Many countries are now banning new vehicles that run on fossil fuels like gasoline, diesel or liquefied petroleum gas. Germany, India, Ireland, Israel, and the Netherlands have announced plans to ban fossil fuel cars starting in 2030; Britain, France, Taiwan and California will ban them in 2040; and Norway in 2025. Paris, Rome, Madrid, Athens and Mexico City will ban diesel vehicles in 2025. China, the world's largest car market, will no longer approve any new fossil fuel car projects. A policy that goes into effect in 2019 requires automakers that manufacture or import over 30,000 vehicles a year to earn fuel-consumption credits and achieve quotas for producing zero and low-emission vehicles. China is also working on its plan to ban fossil-fuel vehicles and will soon phase them out on the island of Hainan in a test run. Beijing wants at least 20 percent of China's vehicle production to be electric and hybrid by 2025. American and European automakers know they have to sell cars in China in order to thrive, so Ford, Daimler and General Motors (GM) are all going electric. Ford will have 16 new EVs by 2022 and Volvo, which is electrifying its whole fleet, has just announced that it will produce its first commercial electric truck. GM, which in 2016 sold more cars in China than in the U.S., intends to go all-electric in the future as well—by 2023, it will produce 20 fully electric models. GM's president, Dan Ammann, was quoted as saying, "We do see China being, in the near and medium term at least, by far the largest market for electric vehicles in the world. But we believe ultimately that the whole world will go that direction." Meanwhile in the U.S., the Environmental Protection Agency (EPA) is planning to roll back fuel efficiency standards for cars made in 2022 to 2025. This move, couched as an easing of regulations on automakers to make vehicles more affordable, could benefit the dirtiest carmakers and penalize the cleanest ones by weakening the incentives to manufacture electric vehicles. After the 2008 financial crash, GM and Chrysler, who had been producing large gas-guzzling cars when gas prices suddenly rose, were facing bankruptcy. They received an $80 billion bailout from the federal government (and taxpayers). The Obama Administration then set new fuel efficiency standards to make U.S. car companies more competitive with Japanese and German carmakers—they would have to achieve an average economy of 54.5 miles per gallon across their fleets by 2025. However, since the automakers had additional ways to reach the target such as reducing coolant leaks or buying efficiency credits, vehicles would only need to get 36 miles per gallon in actual fuel efficiency by 2025. That's just 11.3 miles per gallon more than was required in 2016. And according to the EPA under Obama, only two percent of the fleets would need to be EVs to meet the 2025 targets. The EPA projected that, if carried out, the standards could reduce oil consumption by 12 billion barrels and eliminate about six billion tons of carbon dioxide emissions over the lifetime of the more fuel efficient cars. EPA's midterm evaluation of the standards in July 2016 found that carmakers were already "over-complying" and that there was "positive consumer response," so the targets were finalized in January 2017. During this evaluation, however, GM, Ford and Chrysler asked the incoming Trump administration for more flexibility in the standards for how credits were evaluated and how pollution from generating electricity in EVs was accounted for. In response, the EPA under Scott Pruitt went further than the carmakers had expected or even wanted by announcing that they would weaken the new standards. In fact, the executive chairman and CEO of Ford wrote in a blog, "We support increasing clean car standards through 2025 and are not asking for a rollback." An alliance of leading automotive suppliers and emission control company organizations also voiced its support for long-term emissions and fuel economy standards. California will push back. Because the state had terrible smog conditions in the past, the Clean Air Act allowed California to set stricter vehicle emissions standards than the EPA and let other states follow those standards. Currently 13 other states and the District of Columbia choose to adhere to California's stricter standards, representing almost 40 percent of the new car market. In announcing the rollback, the EPA threatened to challenge California's right to set its own vehicle standards. California then said it would sue to uphold the current standards but is now negotiating with the EPA to try to find a compromise. In any case, Steve Cohen, executive director of the Earth Institute, is not worried that this will harm the U.S. car industry. "It's going to take a long time," he said. "Promulgating a regulation takes a long time from start to finish and removing a regulation takes a long time from start to finish. Both things are hard to do." The EPA will work with the Department of Transportation to propose new standards for 2022 to 2025 cars, no doubt weakening the current standards. The revised standards will then be open to public comment and will probably face legal battles. Meanwhile, the Obama administration's standards stand, and U.S. automakers, who usually plan years in advance, face uncertainty. In recent years, low oil prices have encouraged Americans to drive more miles and buy more SUVs and pickup trucks, which now make up 60 percent of the U.S. market. While consumers may respond to short-term cheap fuel prices by buying fossil-fuel cars, EVs have long-term benefits and are improving all the time. To find out how electric vehicles and fossil fuel cars stack up, the management consultancy Arthur D. Little conducted a life cycle analysis of lithium-ion battery EVs and internal combustion engine vehicles that run on fossil fuels. It looked at all stages of their lives from research and development, to sourcing of raw materials and manufacturing, through ownership and disposal. The study found that, mile for mile, EVs cost less to drive than gasoline-powered cars and cost less to maintain. The total cost of ownership for EVs, however, is higher because they are more expensive to produce, mainly due to the cost of manufacturing their batteries. A Union of Concerned Scientists life cycle analysis found that EVs require more minerals and energy to build than fossil fuel cars, and thus produce more global warming emissions. But because they do not burn gasoline, EVs offset these higher emissions relatively quickly, and emit less throughout their whole lives. Over their lifetimes, EVs produce half as much global warming emissions as comparable gasoline-powered cars. The Little report determined, however, that EVs result in three times more toxicity, mainly due to the heavy metals, such as cobalt, used in manufacturing the batteries. These metals can shorten the lives of those working in and around polluting mines in the Congo and China, for example. Cohen maintains that the situation will improve. "It all depends on how you manufacture and how you dispose," he said. "You can manufacture a battery and not have environmental effects. It depends on how well it's done and how careful you are…The whole manufacturing process, because of the field of industrial ecology [the study of optimizing the use of energy and materials in systems], is paying more attention to environmental impacts." Looking ahead to 2025, the Little analysis predicted that while the difference in the total cost of ownership will narrow, gasoline powered cars will still be cheaper. By then, EVs will produce even fewer global warming emissions than gas-powered cars, but the amount of human toxicity of EVs may increase due to larger batteries. "When the EV is more reliable, cheaper and better than the internal combustion engine, it will drive that engine from the marketplace," said Cohen. Electric vehicles are already cheaper to run and maintain since they have fewer moving parts. The next big challenges to tackle are range anxiety and charging time. EVs can go between 50 and 200 miles on one battery charge, depending on the make of the car. The Mercedes-Benz 2018 Smart Fortwo's range is 58 miles. Nissan Leaf's range is 151 miles, while the Tesla Model S's is 315 miles. Cohen thinks that when EVs get to 700 miles per charge—which may not take long, considering EV ranges have already doubled within the past three or four years—it will be a game-changer. Battery makers are working to improve the chemistry of lithium batteries so they don't require as much toxic material, and to enhance energy density to make batteries lighter. 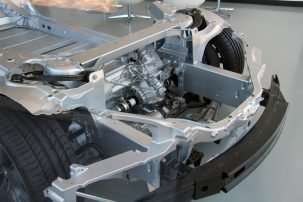 These developments will lessen the environmental impacts of EVs and improve their efficiency. And as battery prices continue to fall (battery pack prices fell 74 percent between 2010 and 2016), consumers will get more range for their money and EV prices will come down. PricewaterhouseCoopers predicts that "between 2025 and 2030, the cost of battery EVs will fall below the cost of combustion engines." The time it takes to charge an EV today can range from 30 minutes to 12 hours, depending on the capacity of the battery and the speed of the charging station. Multiple companies are already working on next-generation fast chargers, which will be able to recharge EVs with a 200 to 300 mile range within 15 minutes. Currently there are about 17,600 charging stations in the U.S., but many companies are rapidly scaling up their networks of charging stations. A number of charging innovations are in the works, too, such as wireless charging pads in parking lots, wireless charging under roadways and solar roofs. And the more renewable energy that's available on the grid, the cleaner EVs will get. Solar and wind, which now generate about 10 percent of power in the U.S., continue to get cheaper and more efficient. In addition, as batteries improve, wind and solar power are becoming more reliable. To promote the growth of electric vehicles, the right policies are also key. Tax credits for purchasing EVs must be continued. Fuel efficiency standards are necessary to spur automakers to produce clean and efficient cars. Utilities should provide special EV charging rates that are lower than household electricity rates and/or lower rates during off-peak times. Investments in research and development must be encouraged to produce the technological innovations to continually improve EVs. And investment in charging station infrastructure will help provide ubiquitous, reliable, and cheap public charging. 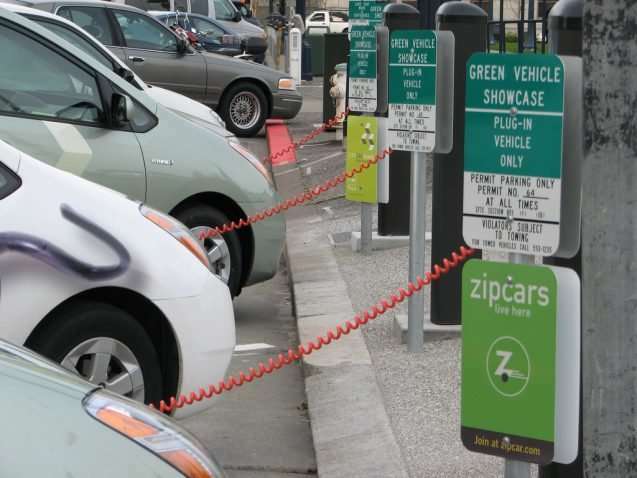 A carbon tax or cap and trade program would also speed the adoption of EVs. Research organization Bloomberg New Energy Finance projects that by 2040, there will be 530 million EVs on the road, accounting for 54 percent of total global vehicle sales and saving the equivalent of 8 million barrels of oil a day. The EV is revolution is coming. Said Cohen, "It's not a question of if, it's a question of when."